The Thank You Economy reminds us that we’ve entered a new era, one in which developing strong relationships is pivotal to a brand or a company’s success. In the past, companies have pushed their messages out to the consumer. In the new economy, companies will have to develop relationships with consumers, and be comfortable with the fact that they (the consumer) have the power via social networking to influence the buying decisions of friends, family, and strangers. Shoving one-way communication down a customer’s throat may have been an effective marketing strategy in the past, but not in the present economy. The author, Gary Vaynerchuk, says that social media has taken us back to a time in our country when people frequented businesses because they liked the owners, felt good about the products, and wanted to help out their neighbor. He says, “Social media has transformed our world into one great big small town, dominated, as all vibrant towns used to be, by the strength of relationships, the currency of caring, and the power of word of mouth.” Facebook, Twitter, and other social media sites allow us to communicate with friends, family, and others about the experiences we have with companies, products, and yes, even churches (Vaynerchuk does not address the church, but I see large implications for the church in his book). Church leaders must be prepared to engage people in the social media arena regarding their church, the Sunday School, and other ministries. Apologize for the shortcomings, don’t hide failures, and be honest and open (authenticity is key) about who you are and what your church is. Look for ways to engage people in an online conversation about your church and Sunday School as you find places in which people have dialoged in the social media world. Even negative comments, according to the author, can help you engage people in honest conversation and it will allow an opportunity for many others to see your open, honest, and calm communication with a disgruntled person. What should the church, and Sunday School, learn from this? 1. Social media and its influence are not going away any time soon. Learn to use social media to promote your church and Sunday School in the virtual world. Spend time searching for conversations about your church and engage people in an honest dialog. Set aside time each week (daily is even better) to track down conversations in which the subject of your church comes up. 2. A poor experience at church or in the classroom may be seen by the masses. Faith Popcorn once called disgruntled customers “vigilante consumers” for their use of social media, phone, e-mail, and word-of-mouth to hurt those businesses that disappointed and/or ignored them. If you deliver a poor experience to a church member or guest, it may be magnified a hundred fold as they talk about it in social media. 3. You’re never done. 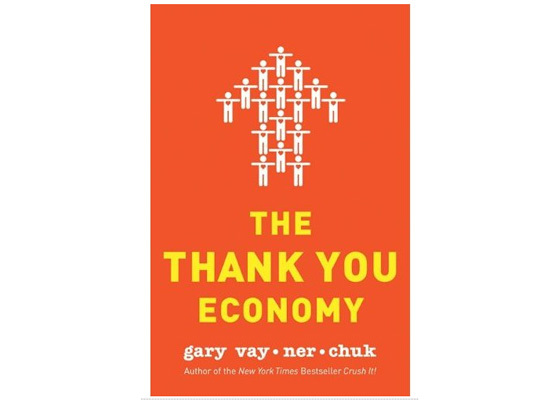 In the Thank-You Economy, you never are done communicating with potential customers (members/parishioners)…as the author says, “The Thank You Economy rewards marathon runners, not sprinters.” You’ll want to thank people for choosing your place of business (i.e. church) and continue to engage them after the initial encounter.